Keeping your child safe is a no-brainer. As parents, this is front and centre especially when our children are young. Safety is also a trump card. How can you argue about not being safe? But if exploited, it can be used to create fear and uncertainty. When Ben was in his second year of high school, we pushed to have a structured schedule in place to help him develop his physical skills. We believed that if we didn’t give him every opportunity to stand and walk, he would never learn how to do either. I mean, that’s just common sense, right? How can you learn a skill if you’re never taught and given the opportunity to practice? But including standing and walking into his daily routine required the expertise of healthcare professionals to assist the school staff. Unfortunately, most of the therapists we encountered didn’t believe that Ben could ever learn how to do either. And when it came time to provide any recommendations on how to accomplish this, with most of those being only “maybe’s”, they were always crushed under an enormous list of caveats. When that wasn’t enough, they always hid behind the safety card. The problem was that it set up an artificial dichotomy. Either you were safe … OR … you tried to learn how to walk. What the therapists were really doing was instilling fear in the minds of the school staff. Because if the medical experts said it wouldn’t be safe to transfer Ben to a walker or they weren’t sure, then what choice did the school have? Not only that, but because we were the ones pushing to find a way to get Ben to use his walker, it was suggested that safety wasn’t important to us. I haven’t yet met a parent who doesn’t value safety when it comes to their child, no matter what. When it comes to caregiving, how can you keep your child safe? Plus, how do you avoid be the annoying parent when it comes to safety so you don’t risk alienating your caregiver? 1) Conduct frequent “check-ins” by phone or text. The key to your “check-ins” not being a nuisance is to put some daily structure or schedule in place and connect with your caregiver at certain points. Like just after breakfast where you could ask “how did breakfast go?”. 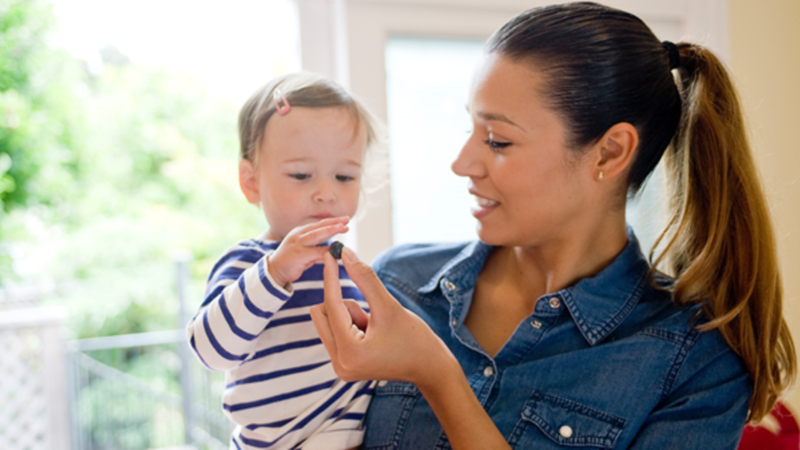 The answer could give you some insight on feeding time, what your child preferred if something new was tried, and how much your child ate. Or maybe a few minutes after your child returns home from school is a good time for a quick text to make sure all is well. Doing it this way will structure your interaction so it’s not see as intrusive and it will feel like you’re simply checking in vs. checking up on them. 2) Provide clear instructions and training for daily tasks. This is important not only for child’s safety but also to make sure things are done properly. Even things that may seem obvious. You can think in terms of “Do’s” and “Don’ts”. When Ben is on his massage table to get cleaned up, never leave him unattended. During bath time with Ben, especially if you’re alone, always have a phone handy in case of an emergency. Keep Ben’s iPhone nearby at all times, so you can FaceTime in case a seizure or weird behaviour occurs. 3) Install webcams in your home. I mentioned this in an earlier post. These aren’t to be used for spying on your caregiver but they do allow you to easily check-in whenever you want. And they can be used as a support for your caregiver, so that they feel that they are not really alone if they needed you to help monitor something with your child. Plus, you can use them as an alternative to checking in by phone or text. If you notice something unexpected, you could then give your caregiver a call. 4) Have a friend or family member to drop in. This is a good way to get an independent assessment of how the day is going, and also to keep things engaging for your caregiver. Even if the trust level with your caregiver is high, it doesn’t take away the need to keep your child safe. Give these options a try and send me your feedback! Check out more caregiving tips by clicking below.